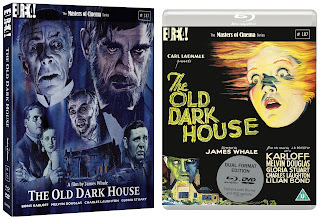 Eureka Entertainment has recently released The Old Dark House, James Whale’s atmospheric and entertaining horror starring Boris Karloff and Melvyn Douglas as part of The Masters of Cinema Series in a dual format (Blu-ray & DVD) in the UK. It is a new restoration of the chilling classic from the director of Frankenstein, The Invisible Man and The Bride of Frankenstein. The Old Dark House is the story of a group of weary travellers who come upon a spooky mansion filled with mysterious occupants. There's a madman on the loose upstairs just to make it even more interesting. 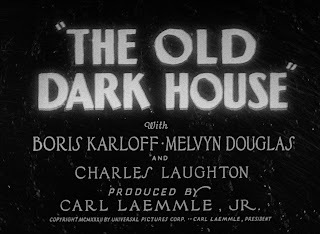 The Old Dark House is one of the best horror films of the 1930’s. 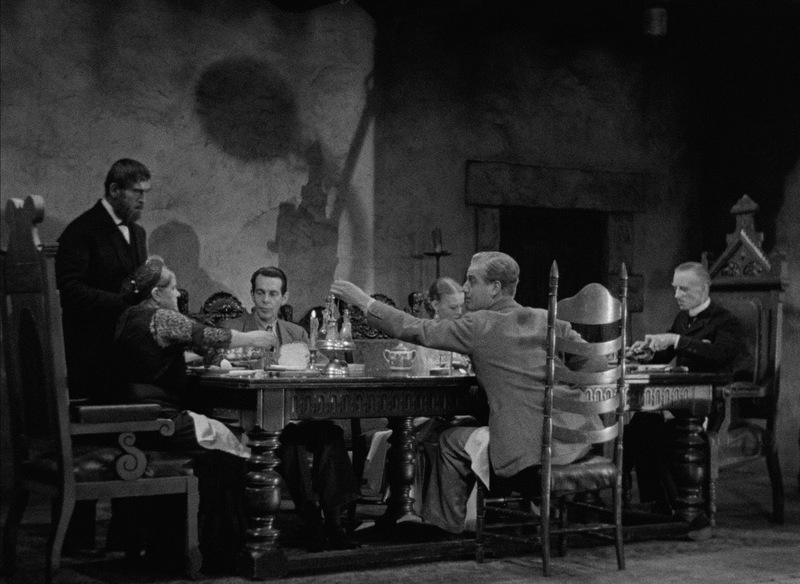 There is a distinctive atmosphere throughout the film and there is no shortage of thrills and chills. This classic film was considered lost for many years, but is now being presented from a stunning new 4K restoration. The story opens with our travellers caught in a terrible storm whilst journeying through a remote region of Wales. 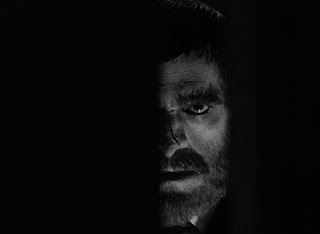 They end up taking refuge in a sinister mansion inhabited by the bizarre Femm family and their mute butler, Morgan (played by the iconic Boris Karloff) . 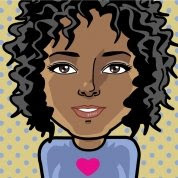 Trying to make the best of a bad situation, the group settles in for the night, but the Femm family have a few skeletons in their closet, and one of them is on the loose. As a film lover, I've always wanted to see this film, since I heard about it some years ago in a film documentary that I was watching. I love a classic horror film and when I found out about this film I looked forward to seeing it one day. When I finally had my chance, I was not disappointed. It has all of the ingredients for a fun film night at home...a spooky old mansion, a stormy night, and eccentric characters. 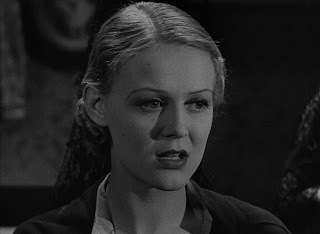 Another treat of this film is seeing a young Gloria Stuart (veteran of many films and probably most famously the elderly Rose in Titanic). Harrington about his efforts to save The Old Dark House at a time when it was considered a lost film. 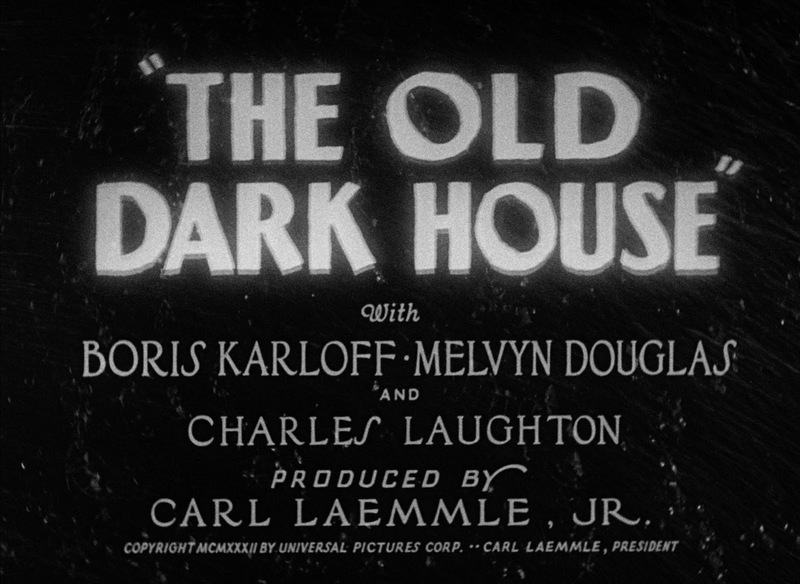 The Old Dark House has an incredible cast, including Melvyn Douglas, Gloria Stuart, Boris Karloff, and Charles Laughton. This is a fun movie to watch and I thoroughly enjoyed it! 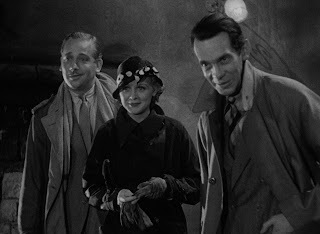 THE OLD DARK HOUSE (Masters of Cinema) Theatrical Trailer can be seen here. This classic film is available to order from Amazon here .